FLAGLER BEACH, Fla. (November 17, 2015) – After 22 races in the NASCAR Camping World Truck Series (NCWTS), driver Ray Black Jr. returns to his home state of Florida to compete in the final race of the 2015 season. The driver of the No. 07 ScubaLife.com Chevrolet, who hails from Flagler Beach, Fla., is shooting for his first NCWTS career victory with a win during his second start at Homestead-Miami Speedway. Black raced at Homestead-Miami Speedway last year during his seven-race introduction to the series with SS Green Light Racing. Now he looks to return to the track with a year’s worth of racing experience and many of his closest friends and family. The last time Black competed in a race in his home state of Florida it resulted in a Top-5 finish at Daytona International Speedway – a finish he would love to repeat this weekend. As Black prepares for his 2015 NCWTS season to come to an end, he also looks back at how far he has come this year. It was a season of a lot of firsts for the driver, as 2015 marked his first year in one of NASCAR’s top series and with that came a lot of surprises for Black. Team Owner, Bobby Dotter, and Black’s crew chief, Jason Miller, have helped to guide the driver through his 2015 season. Both had nothing but praise for what he and the team accomplished this year. Fans can catch Black’s season finale race at Homestead-Miami Speedway on Friday, November 20 at 8:00 p.m. EST on FOX Sports 1. MRN Radio will provide a live radio broadcast of the race as well. 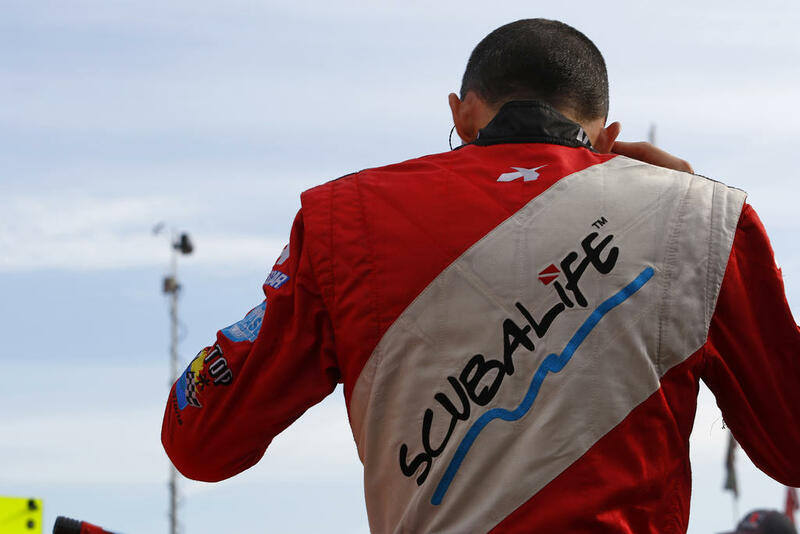 Follow along with Black’s final race weekend of the 2015 season by following him and his sponsor, ScubaLife, on Facebook, Twitter and Instagram at @TeamScubaRacing and @RayBlackJr.